Every year, we set aside a week to pray together over our church and for the upcoming ministry year. We believe that prayer should always come first! 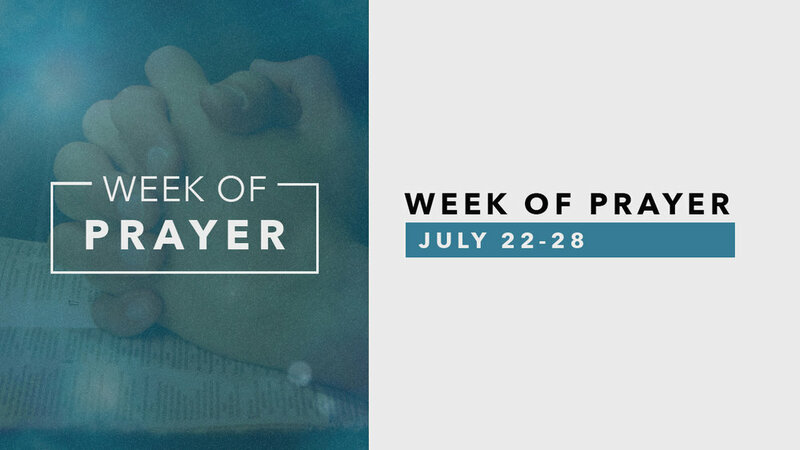 We will start the Week of Prayer together on Sunday during services. Join us Monday-Friday at 6:00AM at our Thomas Crossroads campus or at 7:00PM at our Sharpsburg campus to pray. Come once or as many times as you'd like! On Wednesday night, we will have a time of communion together at 7:00PM at our Sharpsburg Campus. We hope you will join us and help start the ministry year right!